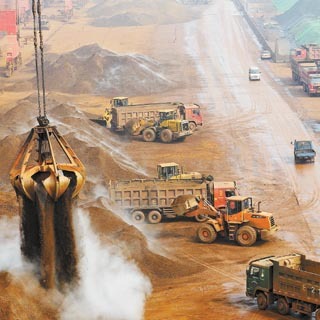 For mining, the iron ore will be primarily crushed by jaw crushers?after crushing, grinding, magnetic separation, flotation, re-election and other procedures, natural minerals (iron ore) elected gradually of iron. 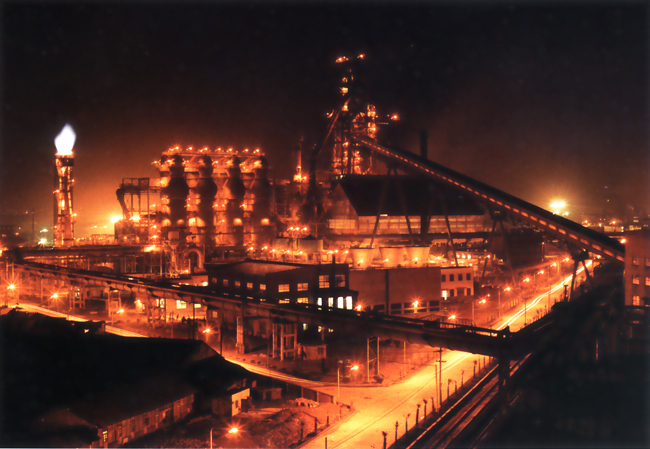 The iron ore, coke, sinter and limestone are continuously supplied through the top of the blast furnace, while a hot blast of air is blown into the lower section of the furnace through tuyeres,the chemical reactions take place throughout the furnace as the material moves downward. The end products are usually molten metal and slag phases. 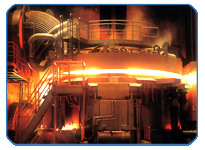 Steelmaking is the process for producing steel from iron ore or scrap. 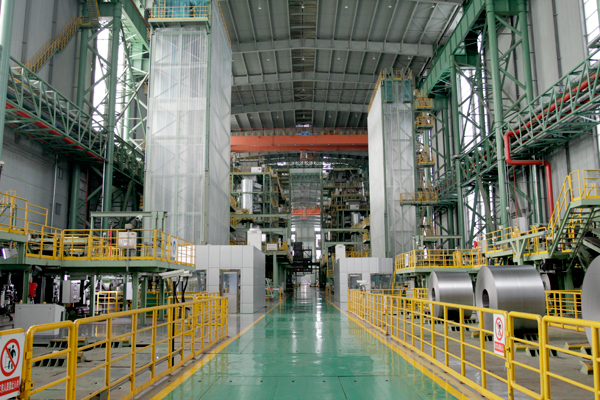 Steelmaking processes can be broken into two categories: primary and secondary steelmaking. 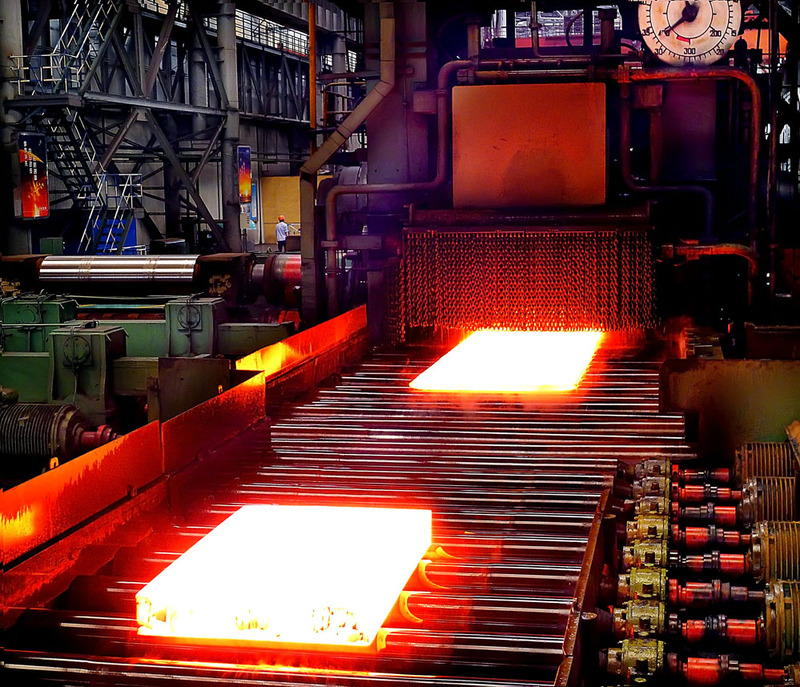 Continuous casting is the process whereby molted metal is solidified into a billte,bloom, or slab for subsequent rolling in the finishing mills. Rolling is a fabricating process in which metal is passed through a pair of rolls. Rolling has 2 main classifications,flat rolling or profile rolling. Rolling is also classified according to the recrystallization temperature of the metal, hot rolling and cold rolling. Steel's corrosion resistance can be improved by coating, a wide range of different coatings is available, including: Zinc coating (normally called galvanizing); organic coatings, tinplate and other metals (chromium, lead, aluminum).